Getting busier every day. Had a summit meeting with editors. Rambled on about all my ideas. Made plans for election night. Four weeks to go. Must stock up on coffee and Pro Plus. Feeling excited about how we’re covering the campaign. Video is a huge part of it. For a long time I was resistant to what I saw as gimmicks to attract the most number of viewers. But I am coming round to the view that our job is entertainment just as much as information. Went canvassing with Johnny Mercer and his team in Southway. We’ve had our differences over the last couple of years but we’re getting on much better now. Asked him some challenging questions, shared tips for blocking out the haters, then talked about cricket and our children. Full list of candidates to be finalised tomorrow. Still not heard a whisper from UKIP. I’m hosting a live hustings event next Thursday. Nervous already. Must stock up on alcohol. Follow The Herald’s election coverage here. Busy few days. Visited Porkies cafe in Whitleigh on Friday, which last year became known as ‘Plymouth’s most Brexit cafe’. Bumped into Arthur Hunt, formerly known as ‘The Janner in the hat’. He had a shouty rant about the Government and the resulting video went a bit viral. Accusations of bias from both sides. Labour say we’re giving too much coverage to the Tories. Tories say we’re in Labour’s pocket. A councillor writes a very angry letter to the paper about me. A few years ago it would have sent me into a spiral of anxiety and self-doubt. These days I’m able to laugh it off. Just about. Told myself I wouldn’t get drawn into a petty rows between the parties. But it wouldn’t be an election campaign without a couple of stories about misleading leaflets. I had been feeling quite excited about the election. Then I went vox popping in Honicknowle. Expected to make a piece about the decline of UKIP. Almost everyone I met said they have no interest in politics or are too confused and disillusioned to bother. Made me wonder whether I’m part of the media bubble. More heated discussions with politicians than usual. I’ve never been very good at conflict. Would always rather play nice and let my writing do the talking than have a row. But now I feel I can give as good as I get. Politicians are extremely sensitive to any hint of criticism. But we’re not going after vulnerable members of the public who can’t defend themselves. These people put themselves in the firing line and are fair game. Enjoying the old quote: ‘A politician complaining about the press is like the captain of a ship complaining about the sea’. The day begins with a BBC blackout on political coverage while polling stations are open for local elections. The Today programme presenters talk about hedgehogs and investment banking. I turn over to Chris Evans on Radio 2, then quickly back again. I visit my local parish hall at 7am to cast my vote for a Cornwall Council candidate. Feel satisfied and smug. Resist the temptation for a selfie. In Plymouth, Labour and Tories are squabbling on Twitter like schoolkids. Good to know that in this volatile political world, some things never change. Bit of a do over Conservative MP Oliver Colvile turning down an invitation to a hustings event. His office say he can’t be everywhere at once. I point out they said no before even being given a date. Visit Porky’s in Whitleigh, known as ‘the most Brexit café in Plymouth’. Last year everyone we met here planned to vote to leave. Back to base to find messages complaining we’re giving too much coverage to Johnny Mercer. “You must have a love affair with him,” one caller says. Makes a change from the usual accusations of Labour bias. First proper hustings of the campaign early tomorrow morning at Devonport High School for Boys. Colvile will be there, as will the man he branded a “perennial runner-up”, Labour’s Luke Pollard. Perhaps the two are destined to follow each other around, trading petty insults about defence cuts and Corbyn’s nuclear policies forever more. A brief respite from Tory and Labour mudslinging, and a visit to my favourite eccentric contact Arthur Watson. He has featured in The Herald on a regular basis over the last few years talking about prostitution, legal highs, anti-social behaviour orders and compulsive hoarding. He is standing as an independent candidate in Moor View, and serenaded me with his campaign song in his front garden. Everyone should have a campaign song. Interviewed Plymouth’s youngest voter, 18-year-old Felix Soper. Bright lad, if a little intense. Surely destined for a career in politics. Had a meeting to plan our hustings events. They will be streamed live on Facebook Need to work on my David Dimbleby impression. Wrote a comment piece about Johnny Mercer. Boss said it might be defamatory. Toned it down a bit. Out and about again tomorrow to ‘Plymouth’s most Brexit café’. Tin hats on. Prime Minister Theresa May visiting the South West today. Huge furore as Cornwall reporters are ‘locked in a room’ and banned from filming her at a factory in Helston. They called her on it with a very funny live blog. Things don’t get much better when she arrives in Plymouth. Burly security guards patrol Herald headquarters and giggling staff are warned to put their phones away. On arrival, Mrs May is briefly shown around the newsroom before a 15-minute interview. No filming allowed. Then she’s gone, and nobody knows quite what to make of it all. Elsewhere, the local campaign is slowly swinging into action. Senior editorial team gathers for a strategy meeting. I babble a lot, but feel a bit better about the task ahead. Key thing is to get out and speak to real people. Tired of playing umpire between warring politicians. First day back after holiday. News editor greets me by saying everyone is bored of the election already. Hard to argue. How can we make it more interesting? I suggest we stage our own version of Gogglebox, filming Plymouth families watching the televised leaders’ debates. Seems to go down well. Messages flying back and forth with candidates and their agents. A press release arrives from Tory MP Johnny Mercer. Says he is “standing in Plymouth Moor View against Corbyn’s North London Labour”. Strange turn of phrase. Much mystery surrounds the identity of Labour’s candidate to challenge Mercer. Councillor Sue Dann is revealed as the winner from an all-woman shortlist. Photo call with Pollard and Dann on the Hoe. Drizzling and cold. I ask them both whether Corbyn is the best person to be Prime Minister. They insist people in Plymouth are more interested in local candidates. Arrange to meet with a Labour source. Text message comes in: “We need a strong and stable interview in the national interest”. Arrange to meet with a Conservative source. We stand in a lift, he hands me a crumpled piece of paper and leaves. I’m on holiday, but finding it impossible to put the election to the back of my mind. Fill much of the five-hour car journey by debating with my wife. She is not a journalist but always asks the right questions. Straight to the point. Get a message from a friend telling me she has applied to stand as a candidate in Plymouth. She is not a politician and it came out of the blue. Will make life very interesting if she is selected. Spend half an hour traipsing round a shopping centre in Greater London looking for a sun hat for a toddler. Most people here seem to care more about Primark bargains and Premiership football than politics. Can’t really blame them. Catch a snippet of Corbyn on Andrew Marr. He wants an extra bank holiday for St George’s Day. Risks losing votes from the dragon community. Watch planes taking off from Heathrow. Imagine them travelling west and landing in Plymouth. Wonder whether any of the party manifestos will mention global warming. Hello. My name is Sam and I am a political reporter at the Plymouth Herald in Devon. I usually use this site for my hobby of writing about cricket. But for the next few weeks I’m going to try to keep a General Election diary. Here it comes. Accusations of bias and unfairness from Labour, Tories and independents, all before 9.30am. Politicians and their press officers are texting and direct messaging me more than usual. Can’t decide whether they are my best friends or sworn enemies. A sure fire sign of election fever. Went round in circles trying to figure out what the Green Party are playing at. Turns out they offered an ‘alliance deal’ to Labour to defeat Oliver Colvile. Labour eventually said no. My story got re-tweeted by John Harris from The Guardian and Krishnan Guru-Murthy mentioned it on Channel 4 News. My phone was going crazy, but I was busy dealing with a two-year-old having a tantrum and a four-month-old vomiting up her dinner. I tried to tell them I’m a pretty big deal now. My son thinks I work in a toy shop. Off on holiday tomorrow. Lord knows what will have happened by the time I return. My two-year-old son has a pair of toy cars he likes to race around the living room. They never make it to the other end. One of them will invariably fall down a hole, veer off into the sofa, grind to a halt or find themselves lifted into the air by a giant toddler hand. 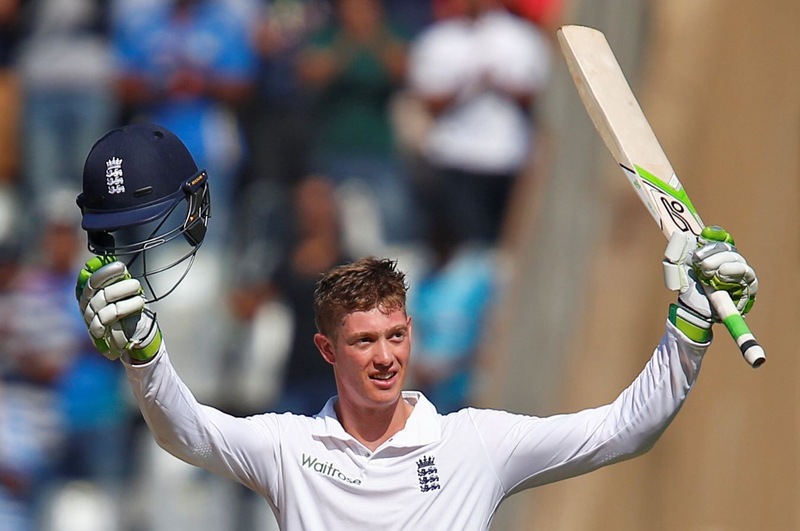 Haseeb Hameed and Keaton Jennings are at the start of their respective cricketing journeys. Who knows what obstacles await them along the way. So much of life comes down to dumb luck; cricket seems to take that theory and blow it up on a giant multiplex cinema screen. What if Hameed had evaded the ball which broke his finger at Mohali? What if the damaged digit never properly recovers? What if Jennings had not been on the Lions tour in Dubai? What if Karun Nair had held on to that chance at gully when he was on nought? You can trace it back through the ages, and drive yourself quite potty. 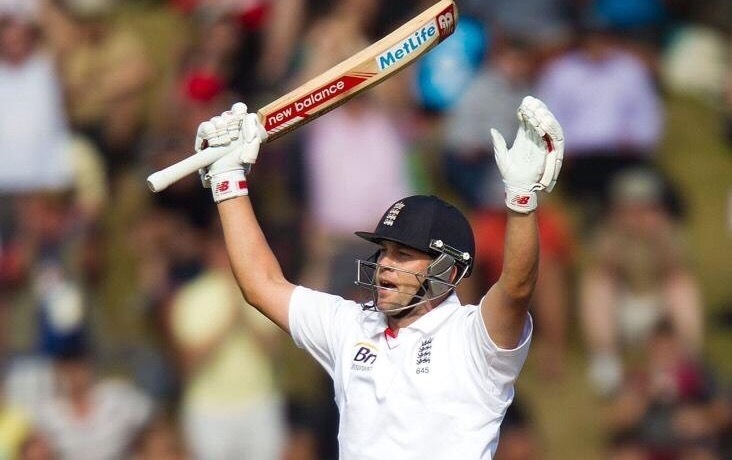 Alastair Cook only made his debut in Mumbai ten years ago because of Marcus Trescothick‘s personal problems. English cricket would be an entirely different place if Shane Warne had caught Kevin Pietersen for 16 on the final day of the 2005 Ashes. And don’t get me started on poor old Athers and his half-and-half spikes at Lord’s. Like Gwyneth Paltrow missing the tube in Sliding Doors, these moments have the potential to completely alter history. But you need a bit of talent in there somewhere too; I can’t imagine Gwyneth’s reverse-sweep is much to write home about. 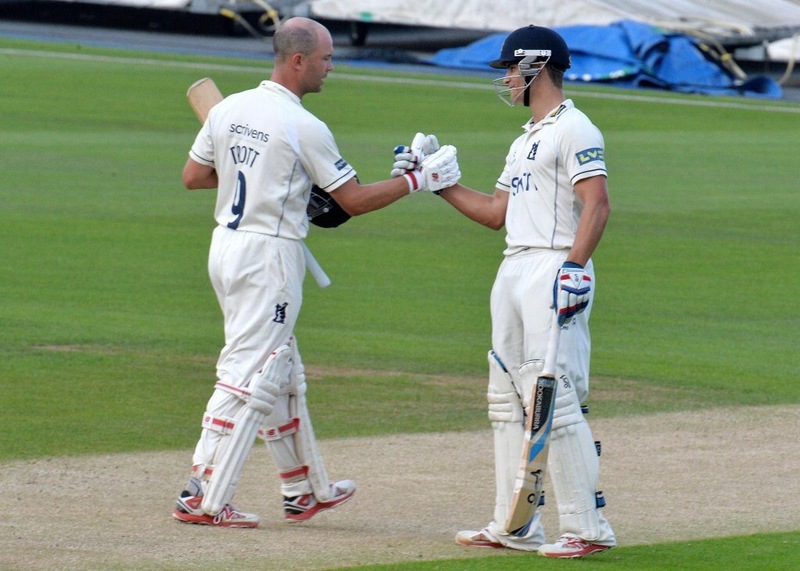 The list of England’s recent debut centurions – Trott, Cook, Prior, Strauss, Thorpe – suggests Jennings is on to a winner. But there are no guarantees. Nasser Hussain used to talk about being choked with anxiety before walking out to bat. Flintoff, Gilchrist and countless others have written of sitting in the changing room in floods of tears while the game carried on around them. In the bad old days, one poor performance or rotten decision could see a player relegated to the County Championship until benefit year. Thankfully, things seem to have moved on. The England management appear to have got much better at taking the pressure off the players, allowing them the freedom to go out and “express themselves”, safe in the knowledge that one duff swallow won’t spoil a summer. Young though they are, Hameed and Jennings will be well aware of the path they are treading. Andrew Strauss, now the man in the suit doing the hiring and firing, still casts a substantial shadow over the non-striker’s end. Many pretenders have come and gone. Most of them were given at least six or seven Tests to make an impression, and some made a decent fist of it. We all have our favourites; the one who got away, the man who could have been. Personally, I still have a soft spot for Michael Carberry. Plucked from the toy box, wound up and placed on the start line, only to be thrown off course by a giant pulsating Johnson. Oh, yes. The new kids on the block. Good luck to them. And remember: if you see the tube doors about to close, run a bit faster. You never know what might happen if you get left behind. This piece was first published at Last Word On Cricket. The best – among them ‘Coming Back To Me’ by Marcus Trescothick and Nasser Hussain’s ‘Playing With Fire’ – are well-thumbed. If you’re feeling particularly masochistic, give Michael Vaughan’s ‘A Year In The Sun’ a whirl. Bet you won’t make it to the end without chewing your own face off. I needn’t have worried. 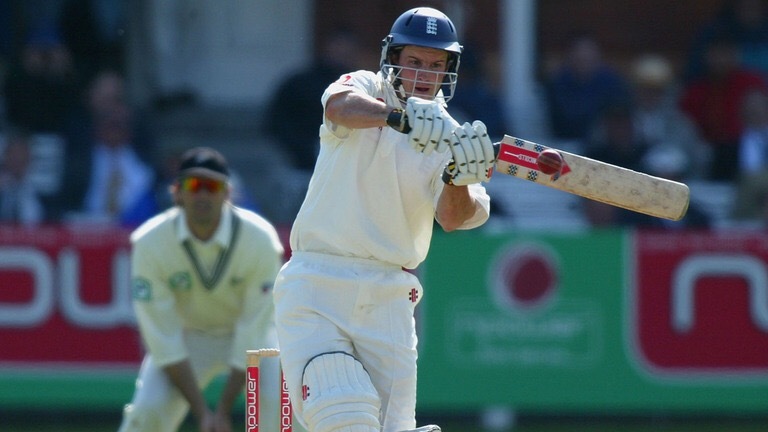 ‘Unguarded’ is a wonderfully honest, brutally painful account of how one of England’s most reliable batsmen decided he could bear the pressure no longer. Unusually for such a self-centered genre, each chapter features contributions from Alastair Cook, Kevin Pietersen, Ashley Giles, Andy Flower, and Trott’s wife Abi. This piece first appeared at King Cricket.